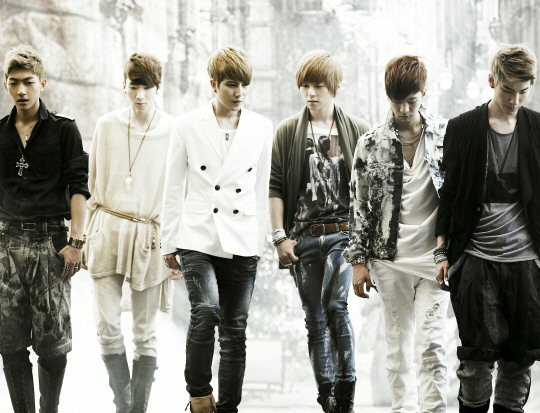 Kpop boy bands are a dime a dozen in 2011, but does HITT rise above the rest? Well, on first impressions I’d have to say… no. The group has been gaining a lot of buzz for being selected by worldwide player, Sony Music, as their kpop boy band of choice. They have gotten the respect of some of South Korea’s finest musicians and gained interest overseas even before their debut, but are they worthy of the praise or is it all well orchestrated hype? 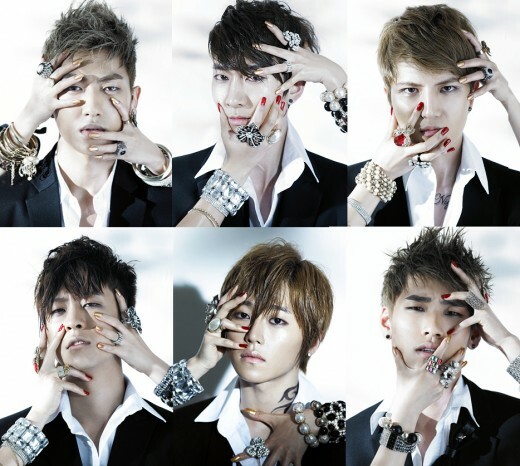 HITT, which stands for Here Is The Top, is a six member group made up of Jun-taek, Ho-won, Woo-ram, Jae-hun, Ha-yong, and Hyun-jun. The group has been praised for their vocals and ability to adapt to various genres of music. They gained respect from the likes of 4MEN and Yiruma, even scoring a song by the latter which is featured on their debut mini album. The group also gained interest overseas with fan clubs sprouting up in Hong Kong, Japan, France, Germany, and Indonesia even before their debut. Their debut mini album dropped on July 8th and consisted of 8 tracks- 5 songs, plus an unplugged version of one song and instrumentals of two others: 1. I’ll Always Love You, 2. Good Night, 3. 하지마 Don’t, 4. Run Away, 5. 한참 For Quite Some Time (Feat. 이루마 Yiruma), 6. 하지마 Don’t (Unplugged), 7. Good Night (Instrumental), 8. I’ll Always Love You (Instrumnetal). Their debut single was the track “Good Night,” an uptempo love song with elements of electronica and R&B. The MV for “Good Night” was also released on the 8th, check it out. The performance was decent for a debut, but there were times when the vocals were a little flat, the choreo was a little out of synch, and towards the end of the performance you could tell that the boys were a little out of breath. 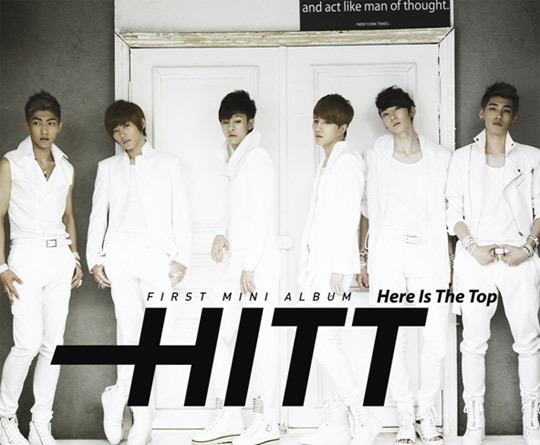 At the end of the day, HITT still have a lot to prove to live up to the hype of their name of “Here Is The Top.” There has only been one group that has ever impressed me from day one of their debut, and it isn’t HITT. They’ll have to keep working hard to be able to rise above all the other boy bands out there. As for their overseas popularity, I think HITT, as well as all other current Kpop groups, owe a lot of appreciation to their sunbaes that came before them for their ability to reach foreign fans. Groups like Shinhwa who really ushered in Kpop to the masses, and the likes of BoA and DBSK who worked hard for years to break into and gain respect in other Asians markets like Japan are the shoulders upon which these hoobaes stand on and who put Kpop on the map. The global Kpop fan base is already out there and growing everyday, so new groups really have it much easier now to gain foreign fans. The popularity of YouTube and the access that the internet has to offer has also been a great boost to the spread of Kpop love.